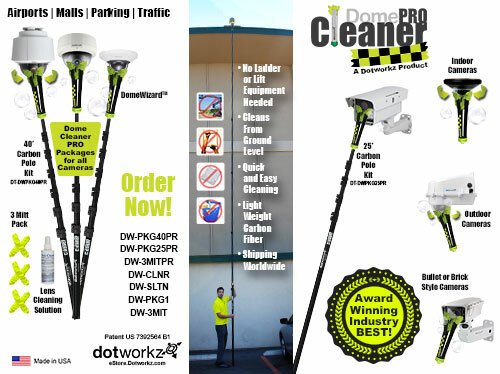 At Dotworkz, we understand the challenges caused by environmental and weather conditions, which is why we provide the best in Normal and Extreme Climate Protection. 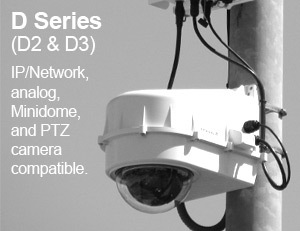 All Dotworkz products provide the next generation simple to install, IP66/IP68 no compromise, professional grade camera housing solutions, engineered for longevity to support today’s surveillance video deployments. 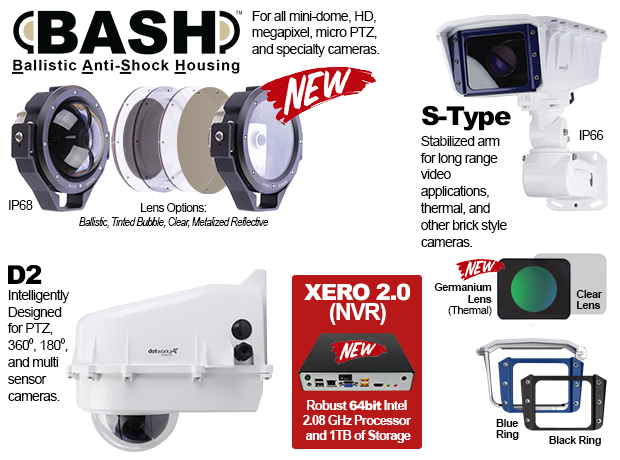 Whether you need camera protection in mild climates or extreme protection in environments where failure cannot. Dotworkz is for you. 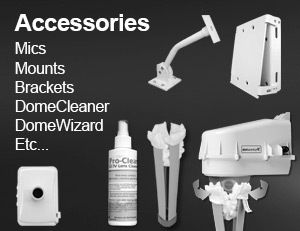 Our products are non-corrosive, impact resistant thermoplastic. The D2, D3, and S-Type models all have additional space to accommodate the installation of CCTV/IP cameras, wireless radios, NVRs, 3G/4G routers, and fiber converters, in a single airtight and temperature-controlled enclosure. Normal or Everyday Climates such as the city which you reside in pose more of a threat against your outside camera systems than the extreme climates. In extreme climates you at least know what you’re getting into and plan accordingly. However, with normal or everyday climates the temperature changes drastically from morning to night. All dotworkz products are designed around the challenge of daily variable temperature changes. We’ve developed a 3 Stage Temperature Stabilization System that help control the temperature inside our enclosures providing a barrier from the fluctuating temperatures outside leading to an extended life of your cameras and equipment. Our COOLDOME™ product line provides the ultimate solution to extremely hot climates such as deserts and extremely sunny areas. 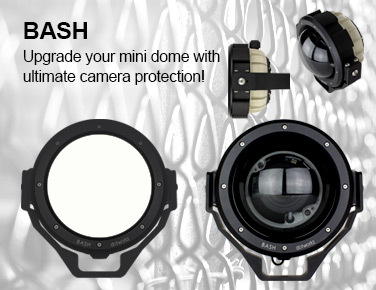 Every COOLDOME™ product can protect your camera and equipment from climate temperatures that can reach 167 degrees F / 75 degrees C. Our trusted 3 Stage Temperature Stabilization System is the reason why no other company can match our protection level for your camera and equipment against the all temperature environments. Our Ring of Fire product line provides the ultimate solution to extremely cold climates such as the arctic and mountainous areas. Every Ring of Fire product can protect your camera and equipment from climate temperatures that can drop down to -60 degrees F / -51 degrees C. Our trusted 3 Stage Temperature Stabilization System is the reason why no other company can match our protection level for your camera and equipment against the all temperature environments. All Dotworkz products are marine ready with either an IP66 or IP68 rating depending upon your needs. Our Polycarbonate Thermal Plastic is non-corrosive providing the ultimate protection against lakes, rivers, oceans, rain, humidity, and any marine environment. Our proven 3 Stage Temperature Stabilization System is the reason why no other company can match our protection level for your camera and equipment against the all marine environments. In this modern world it’s hard to find an area where you can’t get power or wireless services. As ever-expanding as cellular, satellite, and electricity service providers are, there are still quite a few areas that do not have access to these services. That’s where we come in. We provide the ultimate service packages for any remote location. We have solar panel options to power your camera and equipment. 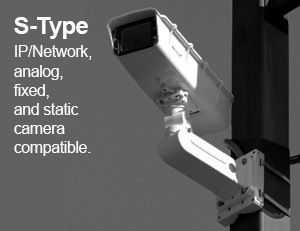 We also have wireless antennas to get your video streaming to your off-site location.